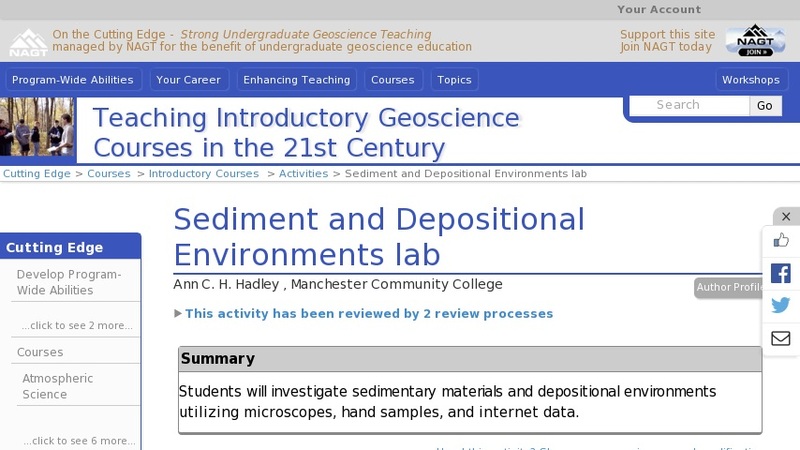 Students will investigate sediment and depositional environments utilizing several different research tools. They will utilize a "Sedimentator" settling tube to investigate energy influences in a depositional environment. Students will investigate hand samples of a coal suite to connect their observations to an understanding of its depositional environment. They will utilize the a USGS web site to make observations concerning Hurricane Katrina sediment transport and deposition. Students will utilize microscopes to make comparisons of different kinds of beach sand, their sources and ultimately the resultant rock types.